Don’t miss out! 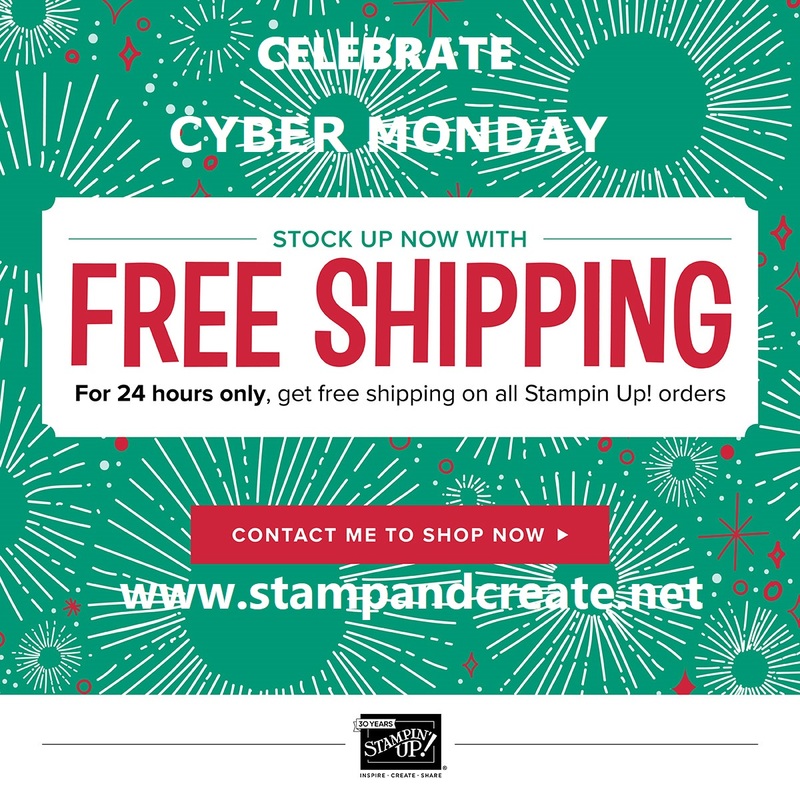 For today only – Monday Nov. 27th, until 11:59 pm (MT) – you get FREE SHIPPING on ANY PRODUCTS from Stampin’ Up! You can order from the Annual and Holiday catalogues, as well as the Clearance Rack. Go to my Online Store, enter Host Code FXDASWQU, and add any items to your shopping cart. When you check out – you’ll get free shipping! It’s that easy! Now is an excellent time to work on your Christmas list! Whether it’s for yourself (you know, from Santa!) or for your crafty friends, saving the shipping cost is always a great time to shop! If you’re one of those incredible few who already have their Christmas shopping done (how? what kind of person are you?! are you for real?!) then now would be a great time to stock up on the essentials – Stampin’ Dimensionals, Multipurpose Liquid Glue, Whisper White cardstock, etc. How about the new Stampin’ Blends? Click on my signature below to go directly to my ONLINE STORE. But don’t wait – avoid the dreaded ‘this item is on backorder’ message!